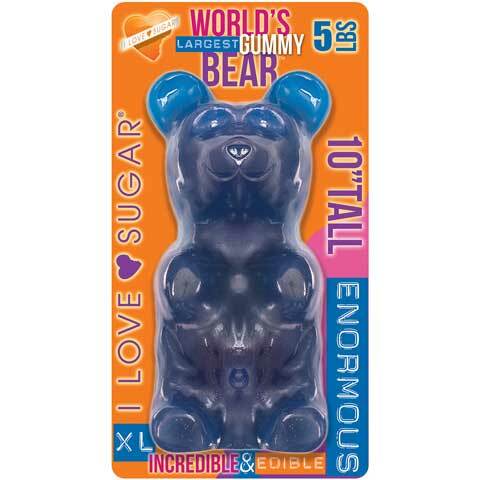 6 Giant Gummy Bears come in this best-tasting bear 6-pack. 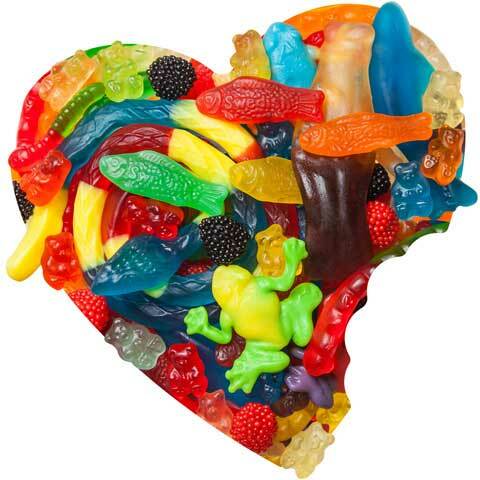 Each gummy bear is approximately 18 TIMES MORE MASSIVE than a normal size gummy bear. 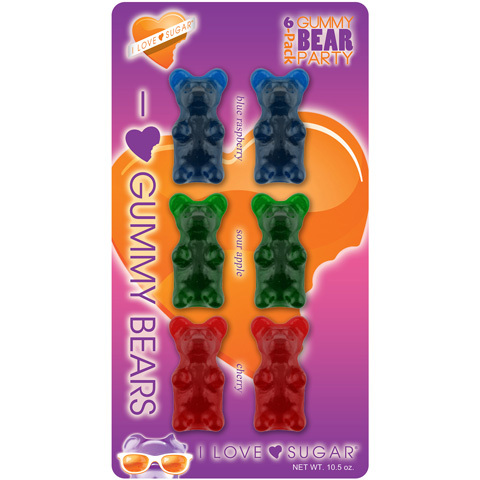 Flavors in this six pack include: blue raspberry (blue), sour apple (green) and cherry (red). 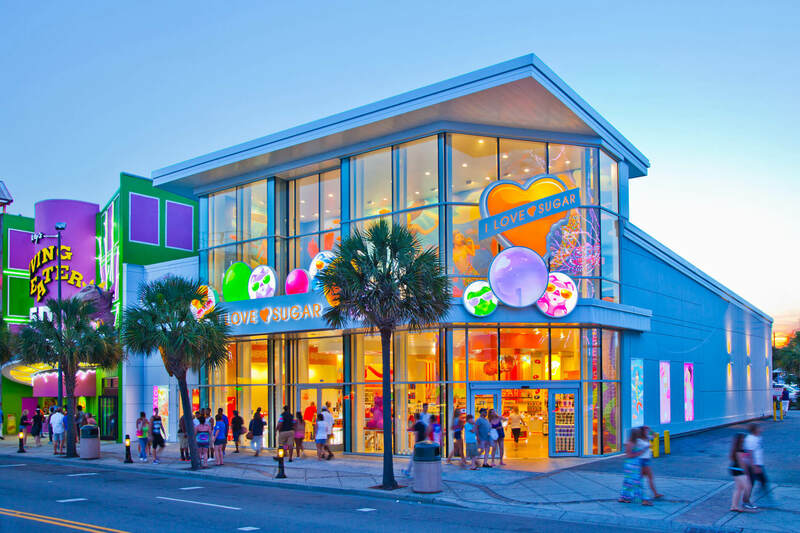 The size of each gummy bear is 1.5" wide, 2.75" tall by .875" deep.